...and no one finishes because they're all making the same URL typo. 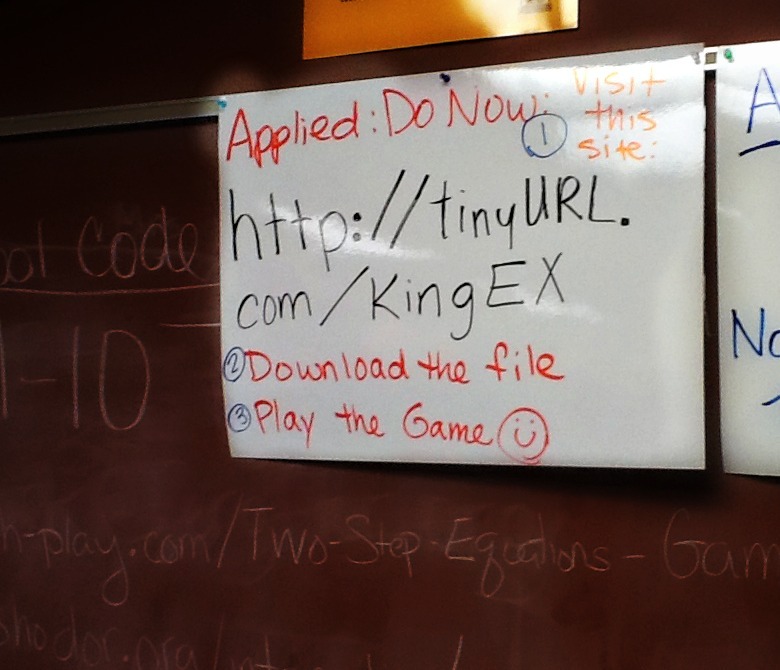 ...hyperlink on your class page, put it in the shared folder, or grant permissions to student viewers. Few things frustrate me more when my students are targeted to specific URLs than the inevitable typos that lead them to erroneous or dead pages. Maybe its the students at our school, but they almost always just assume that MY link was wrong, or that I gave them the wrong link. 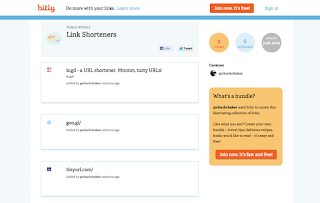 In social media, the purpose of link shortening is to save characters in order to maximize your content. For the classroom, link shortening comes down to this: implementing your lessons, making your job facilitating easier, and kid (teen)-friendliness. If you have all of your links already hyperlinked on a file or webpage, your best bet will probably just be to get one, simple link. If you haven't yet archived or curated your links in one place, bundling them together may save you a step with these tools. 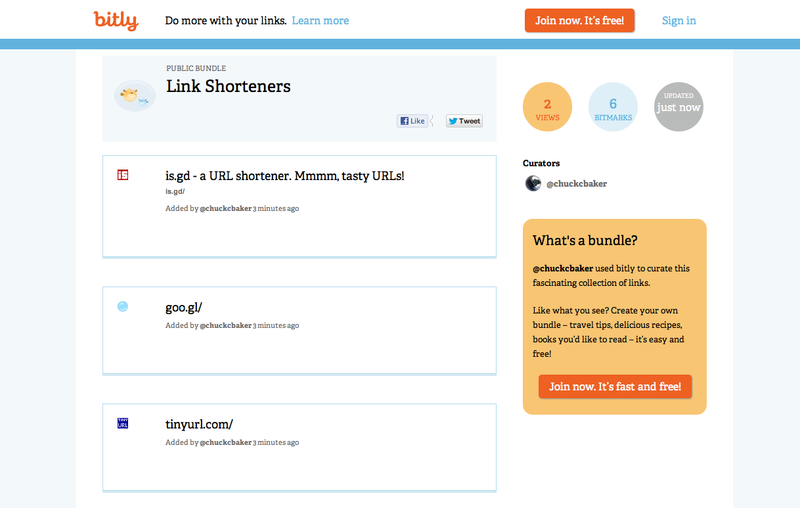 As an example of how this might work, I bundled all of these link shortener links with bit.ly here. I helped my department chair through this process one day last week. There was a Google Doc she had created for a career exploration activity that had several hyperlinks embedded in the doc. When I came into the lab, her students were pecking away furiously, copying the URLs from the paper handout she had photocopied for them. Set the document's share settings to "public" or "anyone with the link"
If the file is not currently on Google Drive, use the upload button next to "create," then do step 1. 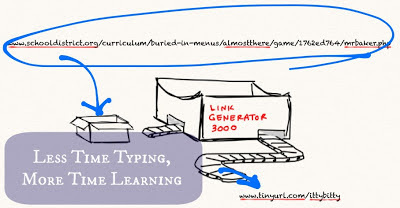 What's been your experience with having kids type in URLs to go to websites for your lessons? Kids usually do ok, but some kids take forever. 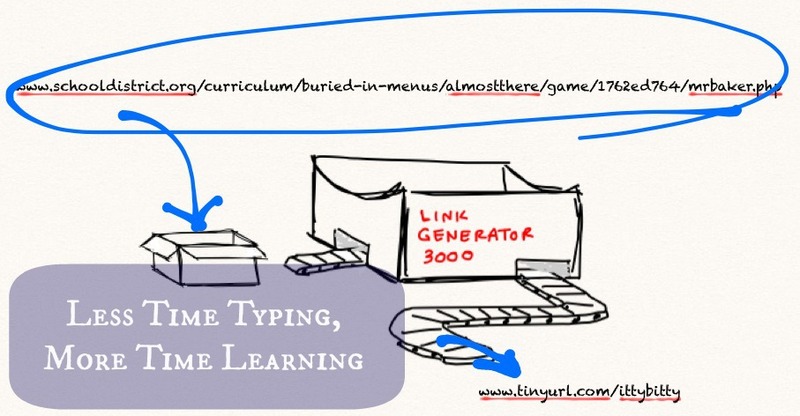 How did using a link shortener to share your document help students complete your lesson? Would you try this out again? Not a rousing success for her, I guess, but I helped another teacher use it to share a file (our kids don't all have Google Apps accounts) the next day, and she was very grateful for the process. UPDATE: The same teacher interviewed above used a link shortener today to send her kids a SMART Notebook Jeopardy file reviewing exponent rules for the students to play against each other in the lab. Here's a picture of her implementation.